It’s hard to run a shop when you’ve got too much work and you need to keep everything on time. It’s also hard to run a shop when you don’t have enough work and you need to figure out how to get more. In each instance, ERP software can be what makes the difference for your shop. An ERP system can keep your jobs on time, your jobs profitable, and your schedule effective. Shipping jobs on time is crucial to keeping customers. However, this is hard to do if you’re planning everything on paper or in a spreadsheet. As you know, schedules don’t always work out the way you want them to, and it’s almost impossible to keep track of the jobs that are about to run late by hand. With an ERP system, you can keep your jobs on time and quickly run a report to see if jobs are going to be late, so you can stop that from happening. However, even if 100% of your jobs leave the shop on time, you can still run into trouble if you don’t know which jobs are making money. Your shop needs to make money to stay open. That’s basic business. It’s not easy to use pen and paper to keep track of how much each job costs to run and compare that to how much you’re charging for it. However, with an ERP system, it’s easy to track everything for every job. With that information, you can make sure you’re charging enough for the jobs you run. 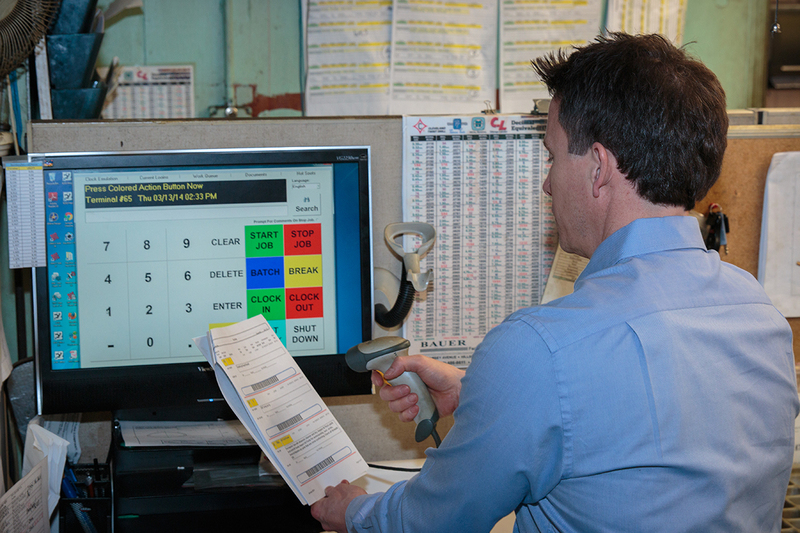 Once you’re making money on every job, it becomes even more important to create a good schedule for the shop floor. Let’s face it; your shop has probably outgrown a whiteboard and dry-erase markers. As your shop grows, it gets too complicated to schedule everything by hand, and there isn’t enough room on the whiteboard anyway. A good ERP system will have a Digital Whiteboard that lets you schedule all of your jobs and see that schedule. It is also much easier to change things on a Digital Whiteboard to see what would happen if you accepted a rush job or to make quick changes to the schedule. An ERP system can give your shop more on-time jobs, profitable jobs, and effective scheduling. Any one of these things would be great, but a good ERP system can give you this and more. Having all of these things in your shop can take it from good to great. Interested in finding out more? Download our brochure to see what a great ERP system can do for your shop.